Every good program makes use of keyboard shortcuts. We’ve shown you the essential Microsoft Office keyboard shortcuts 60 Essential Microsoft Office Keyboard Shortcuts for Word, Excel, and PowerPoint 60 Essential Microsoft Office Keyboard Shortcuts for Word, Excel, and PowerPoint Hundreds of keyboard shortcuts are available in Office, but these are the most important ones you should know because they will save you a lot of time. Read More , and even compiled an ultimate keyboard shortcut guide Windows Keyboard Shortcuts 101: The Ultimate Guide Windows Keyboard Shortcuts 101: The Ultimate Guide Keyboard shortcuts can save you hours of time. Master the universal Windows keyboard shortcuts, keyboard tricks for specific programs, and a few other tips to speed up your work. Read More with hundreds of the most popular combinations. 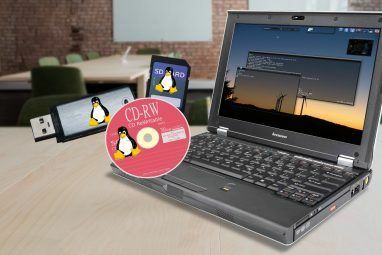 What we haven’t covered yet, are default Windows programs. Today, we’ll remedy that by taking a look at some keyboard shortcuts that will save you time in these tried-and-true applications. Keys appear in bold and keyboard combinations appear in bold, italic font. Control is abbreviated as CTRL. Keyboard shortcuts that need to be pressed at the same time will use a + symbol (e.g. CTRL + S). Combinations that need to be pressed one after another will use a > (e.g. CTRL > T). Though you probably use a more powerful alternative Paint.NET: The Best Image Editor Available That You Should Download Paint.NET: The Best Image Editor Available That You Should Download We all edit images to some degree. Whether it’s a simple crop or resize, or maybe just adding some text, it’s nice to have an image editor that is reliable, fast, easy to navigate and... Read More , Microsoft Paint provides a decent way to edit screenshots How to Edit & Enhance Screenshots in MS Paint How to Edit & Enhance Screenshots in MS Paint Read More . Next time you’re editing or just messing around, here are some keyboard shortcuts to make you more productive in Paint. Like most programs, you can use CTRL + N to create a new file, CTRL + O to open an existing image, or CTRL + S to save the current image. You’re probably used to these ones, too, but in Paint they’re extra useful: use CTRL + Z to undo your last action and CTRL + Y to redo that change. When you need to manipulate large chunks of an image, use CTRL + A to select the whole canvas. CTRL + C will copy a selection, while CTRL + X cuts the selection. After either of these actions, use CTRL + V to paste it to a new location. Paint doesn’t have any tools for aligning images, and it can be tough to do this with the mouse. Instead, select an area and use the Right, Left, Up, and Down arrow keys to move a selection by one pixel at a time. This allows you fine-tuned control. You’ll often be working with selections of the canvas in Paint. After you’ve selected some space, you can press ESC to cancel the selection or DEL to delete it right away. Paint offers various brushes 6 Best Sites To Download Free Photoshop Brushes 6 Best Sites To Download Free Photoshop Brushes Read More for your drawing delight; try pressing CTRL (+) + or CTRL (+) – to increase or decrease the width of a brush, line, or shape outline by one pixel respectively. Since the shortcuts combos that usually zoom in and out are used for line weight in Paint, you can use CTRL + Page Up or CTRL + Page Down to zoom in or out of the canvas. There a couple of dialogue boxes available in Paint you can easily open with shortcuts. To open Image Properties, where you can change the size of the canvas, press CTRL + E. CTRL + W opens the Resize and Skew dialogue where you can further mess with your image 10 Easy-to-Use Photo Editing Programs for Newbie Photographers 10 Easy-to-Use Photo Editing Programs for Newbie Photographers If Adobe Lightroom seems too complex for you, check out these easy-to-use photo editing programs for beginners. Read More or selection. CTRL + R toggles the on-screen ruler for making exact measurements, and its buddy CTRL + G will enable or disable the gridlines. If you’re still shaky on grabbing screenshots in the first place, find out how to easily capture what you see on your screen Multiple Ways To Capture Or Print What You See On Your Screen Multiple Ways To Capture Or Print What You See On Your Screen Print Screen is a term that lost its original meaning decades ago. Today, actually printing a screenshot takes several steps. Combined with shortcuts and software, you have a powerful 21st century tool at your fingertips. Read More . The Windows Calculator is one of the most underappreciated features of Windows 6 Underappreciated Features of the Windows Operating System 6 Underappreciated Features of the Windows Operating System There are plenty of Windows features you use every day, but some you might not have ever seen. Let's give these underrated tools some credit. Read More . 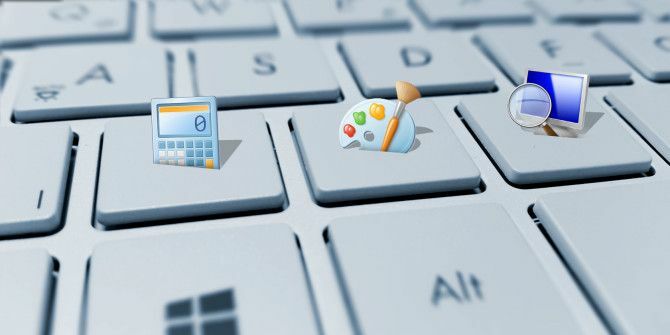 It’s much more than it seems at first glance, and packs a ton of punch for such a small program 9 Neglected Windows Calculator Features to Save Your Day (and Money) 9 Neglected Windows Calculator Features to Save Your Day (and Money) The classic Windows Calculator contains many overlooked features. We bring them to light and show you how you can use this app to do math faster, process unusual calculations, and save money. Read More . Though there are calculator alternatives 5 Free Calculator Apps If You Aren't Happy With The Windows Calculator 5 Free Calculator Apps If You Aren't Happy With The Windows Calculator Read More , learning some keyboard shortcuts for the default one could make it even more useful for you. The Calculator has several different modes, if you didn’t know Windows Can Do THIS? 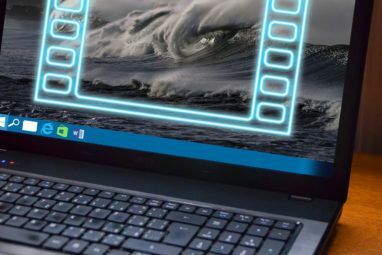 15 Surprising Features You Had No Clue About Windows Can Do THIS? 15 Surprising Features You Had No Clue About Windows can do a lot more than you may think. Even if you're a veteran Windows user, I bet you'll discover a feature in our list that you never knew existed. Read More . Use ALT + 1 to use Standard mode, ALT + 2 to switch to the Scientific calculator, ALT + 3 for Programmer mode, and ALT + 4 if you want the Statistics calculator. Press CTRL + E to open the date calculation window, CTRL + U for the unit conversion window, and CTRL + F4 to hide either of these windows. To keep a list of calculations you’ve run, press CTRL + H to toggle calculation history. To clear it, press CTRL + SHIFT + D. If you’d like to go back and edit a past calculation, press F2; you can use the Up and Down arrows to navigate through the history. ESC will cancel out of editing and you can press ENTER to re-run an edited history item. There are many more shortcuts you can use in the calculator that correspond to specific buttons on the screen, but reviewing them all would be tedious. Since there are so many of these, especially in the Scientific calculator, I’ll only list a sampling here; check the full listing if you need more for your favorite mode. In the Standard view, press F9 to toggle the +/- button. Use R to utilize the 1/x function, and @ to calculate the square root. For the Scientific calculator, ; will press the Int button, S is the shortcut for sin, O triggers cos, and T presses tan. P will press the pi button, while X presses the Exp button. Q runs the x^2 calculation and Y runs x^y. Also in Scientific mode, you can press F3 to select Degrees, F4 for Radians, and F5 for Grads. Cat just walked over the keyboard on my Windows PC and opened the calculator. Didn't even know there *was* a shortcut key for that. In the Programmer calculator, pressing F5 will select Hex, F6 will choose Dec, F7 corresponds to Oct mode, and F8 selects Bin. You can also press Space to toggle individual bit values. ^ corresponds to Xor, ~ is for Not, while & corresponds to And. In Statistics view, press S to calculate the sum, CTRL + S for Sum Sq, T for the S.D. button, and D for the CAD button. CTRL + T will trigger Inv S.D. The Windows Magnifier makes your screen easier to read Are You Nearsighted or Farsighted? Tips to Make Windows More Accessible for Young & Old Are You Nearsighted or Farsighted? Tips to Make Windows More Accessible for Young & Old Computers use print that's too small, your eyesight changes, you get headaches, and the computer gets called a lot of dirty names. Consult this guide to Windows Accessibility tools for some stress relief! Read More with several modes. While there are only a few shortcuts for it, they can make navigating with the magnifier much easier. Instead of struggling with the mouse while zoomed in, just press WIN (+) + or WIN (+) – to zoom in or out. When using full screen mode, CTRL + ALT + Space lets you preview the full screen (essentially just lets you see where you’re zoomed at in relation to the whole screen). You can switch between modes with shortcuts. Use CTRL + ALT + F to switch to full-screen mode; CTRL + ALT + L switches to Lens mode, and CTRL + ALT + D enables Docked mode. CTRL + ALT + R will enter the lens resizing mode (when you’re using the lens), where you can move the mouse to change the size and layout of the lens. This is useful if you’re reading a lot of horizontal text, for instance. If you get stuck in the magnifier and don’t know what to do, simply press WIN + ESC to exit! I've got my Windows magnifier filling-up the bottom eighth of my viewscreen at 250% magnification. I'm slowly getting used to it. 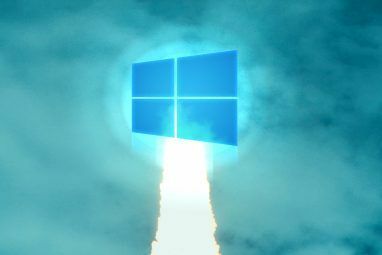 Now you have plenty of ways to whiz around your favorite Windows applications. There are even more shortcuts for programs like WordPad, but that isn’t used as often as these. Don’t forget you can press F1 at any time to open the Help dialogue in most programs and find even more shortcuts! Are you an Office junkie? Find out how you can get all the Office shortcuts you’ll ever need How to Find Every Microsoft Office Keyboard Shortcut You Could Ever Need How to Find Every Microsoft Office Keyboard Shortcut You Could Ever Need Finding a complete list of keyboard shortcuts can be a chore. Let Word automatically generate a list of all of its shortcuts! You'll find keyboard shortcuts for other Office applications, too. Read More . What default Windows programs do you utilize shortcuts in? Were any of these a surprise to you? Let us know how you use shortcuts in the comments below! Explore more about: Calculator, Keyboard Shortcuts. The New Microsoft Edge Insider Channels: All You Need to KnowAre You a Windows 10 Upgrade Refugee? Do This First! But what is the short cut to open Calculator on Win 7? There isn't one. But just find "Calculator" in the Start menu (under "Accessories") and right-click on it, which will give you a menu that includes "Properties." Open that window, and you'll see a space to enter your shortcut keyboard sequence. "Apply" it and you're automated! Thanks for letting him know this! I missed the question and appreciate you answering it. Are there people that actually still use MS Paint?? Great article! That useless looking calculator can do those thing? I leaned a lot indeed. But what is the short cut to open Calculator on Win 7? Yep, we've written a lot of other articles about everything the calculator can do! CTRL + F is one of the best shortcuts for browsing the Web for sure. I'm glad you utilize it often!